If you are going to check Ebay and type the word “contemporary counterfeit” under the category of “coins and banknote", you’ll be amazed to see how counterfeit coins and banknote are doing well. For the new collectors, it seems odd that sometimes fakes are more expensive than the original. Well, I myself collect fake coins and banknote and I consider these materials as pieces of history. For example you’ll be amazed to know that there are very interesting stories behind these unusual materials. Recently, I have added to my collection several Five Pesos that were counterfeited by a Taiwanese syndicate. I have catalogued several specimen and found out that other than the known 2002 date, there were also other samples accounted for dating 1997, 1998, 1999, and 2001. What is the reason behind this activity is still a mystery up to this date since the cost of counterfeiting this coin is more expensive than the original coin itself. Some says that this is part of an economic sabotage, someone mentioned that there is more on the content of the metal than the coin’s monetary value, other than those gossips no other explanation has surfaced. For me the interesting side of this story is the stupidity of the crime. If an organized syndicate could counterfeit such denomination then why not the highest. It is very hard to believe that even an operation of such scale was idiotic. In my opinion, counterfeiting is an art and an act of resourcefulness before digital printing and imaging was born. It seems very hard to understand but I observe that during the early introduction of money, it was very unusual for an individual to acquire and posses some since money originates only from a single source. The fiscal and monetary control during the earlier period was so tight that most people consider barter as the medium of trade and commerce. When the people began accepting money, the barter system deteriorated and government regulation enforced the people to use money to buy goods. The few colonial masters, producing, controlling the world and distribution of money was not as efficient as what we have right now. Boats and ships carrying the necessary supplies either were robbed by pirates or were lost to storms and thus, there were periods in history that the people took to their own hands the production of money to sustain their needs. Some utilized the use of tokens and other resorted to more felonious means by copying and mass-producing money and thus, counterfeiting was born. Counterfeiting was very effective that even governments themselves utilized such acts during the times of war and hardship. During World War I and World War II, several organized underground operatives manufactured and distributed war scripts, coins, and certificates either for propaganda purpose or to escalate inflation. Such tactics were proven effective in destroying an enemy’s economy, the reason why counterfeiting is a crime of national security. I do not emulate the act itself, what I admire about the earlier counterfeited materials were the craftiness and the determination of the counterfeiter to duplicate the originals. Despite the limited resources that they have, they have still managed to create something that can be mistaken for real. I have seen and acquired locally counterfeited notes and coins and some specimen were more valuable than the genuine article themselves. For example, Spanish-Philippines Gold Pesos were counterfeited during the height of its production. The amazing fact about the counterfeited coins was it was substituted with platinum instead of the normal gold content. During that time, platinum was not highly regarded and has no value at all except that it is an imitation of silver but with the weight closer to that of gold. Assayers often considered platinum as cumbersome since it is very hard to shape and the metal cannot be melted at lesser temperature unlike gold and silver. Thus, the mint itself produced copies to be distributed in the South America and few in the Philippines to save the Spanish treasury of gold. The actual coin can be very hard to recognize as fake since the platinum plan was coated with gold to imitate the texture of the actual gold coin itself. A specimen had been reported by a fellow numismatist that surfaced in the province of Iloilo based on the report published in the Central Bank publication, “Barilla”. But no confirmed specimen had been catalogued nor brought forward for public viewing so this still remains an unsolved mystery. Another amazing counterfeits were the "sepings" or the copper coin dollars produced by the Ifugaos, Japanese counterfeited notes, and coins counterfeited during the early republic period. I’ll discuss each and every one of them in my next coming articles and you’ll be surprised to find out how crafty, artistic, and resourceful our grandfathers were. Meanwhile, try to expand your view. Search and explore, because the next million dollars worth coin might just be a change from the grocery store. A miscellaneous grouping of coins, often as a monetary hoard. Opposite of a coin collection. A second use is as a grouping of a particular date, type, or series. This is for "About Good" (the grade) and "3" (the corresponding numerical designation). Most of the lettering on the coin is readable, but there is moderately heavy wear into the rims. This grade is frequently found on One Centavo and Half Centavo coins due to the composition of the material---copper. The process of determining the genuineness of a coin or other numismatic term. Either a crudely cast lead, bronze, or copper struck by the early Filipinos as coinage. Sometimes it shapes is similar to that of tamarind fruit. It is also the name used for the publication of the Central Bank of the Philippines. A particular issue within a series that is readily available. No exact number can be used to determine which coins are common dates as this is relative to the mintage of the series. One-Eight Real. Issued in limited quantities in the early 19th century and believed to be minted in Mexico. The design attributed to Mint engraver Robert Scot that features Miss Liberty with long, flowing hair. Also applied to describe the standing Filipina holding a hammer featured on the local coinage. Any numismatic item not from the Philippines. The highest denomination in gold used by the Philippines during the Spanish period consisting of two consecutive series, Isabel II and Alfonso VII. The Minting facility that produced a series of coins from 1975 to 1982. Most of which are very scarce numbering as low as 354 pieces a set. Philippine struck its gold commemoratives only on several occasion during the Marcos regime, the Fidel Ramos administration, and during the Joseph Estrada Administration. The Three Wilson Dollar struck in gold during the Opening of the Manila Mint in the 1920’s were not actually coins but medals. The lowest-value coin denomination ever issued by the United States, to the Philippines representing one-two hundredth of a peso. Half centavo were struck from 1903 until the series was discontinued in 1908. A paper currency issued during the time of President Carlos Garcia which literally equivalent to fifty centavos. The rare Japanese medal awarded to its soldier during the Philippine occupation and believed to be produced from confiscated silver Philippine coins due to the lack of silver during the war. The term used for a variety of 1918 – S Fifty centavos with an awkward mintmark---an inverted “S”. The number one coin. The 1804 dollar was referred to as the "King of Coins" in an 1885 auction catalogue. Since then, the word "King" has come to mean the most important coin of a particular series. In the Philippines, the 1910-S Ten Centavos is considered as the primary as the King of Philippine coins. However, other candidates are vying for the title such as the 1907-P One peso, the 1903-S Fifty centavos, and the 1906-S One peso who is considered as the most famous among the four. Common short name for the particular variety of two-cent coin of 1864 with large letters in the motto. The inscription “IN GOD WE TRUST” was first used on the two-cent coinage of 1864. Congress mandated this inscription for all coinage and it has been used on nearly every coin since that time. The head of Miss Liberty, with a cap on a pole by her head, used on certain U.S. half cents and large cents. The unique number assigned by the auction house to an item(s) to be sold in a particular sale. The Mint established in 1920 in Manila and the only US Mint built and operated outside of the United State mainland. The first silver coins struck in silver issued by the Republic of the Philippines in 1947 in honor of General Douglas McArthur. It came in two denominations, One peso and fifty centavos. The Designer of the United States And Philippine coins. 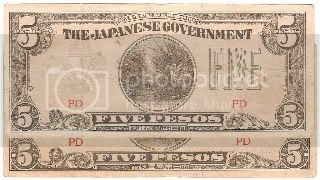 The term for Japanese paper money produced for the Philippine conquest. A set of Uncirculated coins from a particular year comprising coins from each Mint. This term refers to the colors and patterns coins have acquired from years of storage in the cardboard holders in which Mint Sets were issued. The number of coins of a particular date struck at a given mint during a particular year. The Minting facility built by the Spanish during their occupation of the Philippines. An inscription on a coin – especially IN GOD WE TRUST, which first appeared on the 1864 two-cent piece andnow is required on all U.S. coinage. This is for "Mint State" (the grade) and "70" (the numerical designation of that grade). A perfect coin! Even with 5X magnification there are no marks, hairlines or luster breaks in evidence. The luster is vibrant, the strike is razor-sharp, and the eye appeal is the ultimate. Note: Minor die polish and light die breaks are not considered to be defects on circulation strike coins. This is a rare Mint error where the obverse die is of one coin and the reverse die is of another coin. The most famous of the Mule errors is the 1918 San Francisco Mint Five centavos where the obverse die of the 1918 Twenty centavos was used. Until today nobody could confirm how did this happen and how many of such error were produced. The 1928 Twenty centavos where the obverse of the Five centavos was used were produced in the Manila Mint, all of 1928 Twenty centavos are mule coins. Monthly publication by PCGS listing the number of coins graded and their grade. Totals are for coins graded by PCGS since its inception in 1986. The ancient Filipino gold coins discovered by Rizal during his exile in Dapitan. Such coin were very similar to the Ancient Greek stater and the Batavian empire coinage. The coin is very small similar to a grain of corn. 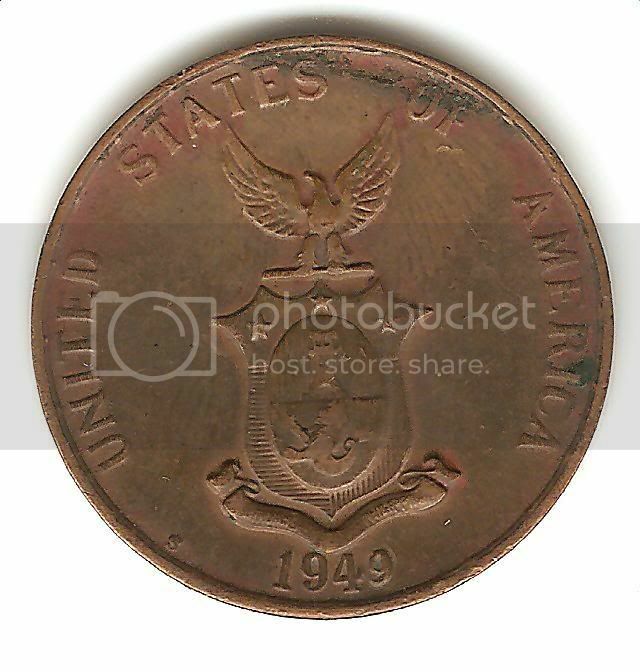 A coin usually struck from a specially prepared coin die on a specially prepared planchet. Proofs are usually given more than one blow from the dies and are usually struck with presses operating at slower speeds and higher striking pressure. Because of this extra care, Proofs usually exhibit much sharper detail than regular, or business, strikes. A coin set containing Proof issues from particular year. Two-year type coins issued in 1935 and 1936 featurung President Quezon And Murphy, and President Quezon And Roosevelt. Term for the lines that represent sun rays on coins. Also the denomination term used for the Spanish issued coins before Spain shifted to peso and peseta. First issued in 1947, this yearly price guide has been the “bible” of printed numismatic retail price guides. If a date was punched into the die and then punched in again in a different position it is considered to be a repunched date. A dramatic example of the repunched date is the 1929 Twenty centavos where the date and mintmark were repunched more than twice. Another good example is the 1908 One Centavo Horned “S”. A set number of coins “rolled up” in a coin wrapper. In old times, a roll meant the coins were rolled up in a paper wrapper, today they are likely to be slid into a plastic coin tube. Groups of nineteenth century coins are sometimes referred to as rolls when they exist in sufficient quantities even when they might not have come in rolls during their years of issue nor or are they currently in a roll! The United States branch Mint located in San Francisco, California that struck coins for the Philippines from 1903 until 1945. This mint uses the “S” mintmark. The emblem used on certain issues that has horizontal and vertical lines in a shield shape. Issued from 1903 to 1936. Banknotes Issued backed by silver starting in 1903. It is very rare. Originally, those commemorative coins struck in silver intended for the celebration of an important event. A coin of the one dollar denomination that is struck in a composition of 90% silver (or so) and 10% copper. The silver peso was introduced in 1903 and was issued for circulation in intermittent years through 1906 where afterward the content was replaced with 75% silver and %25 copper and otherwise shrunk the size of the peso from 1907 to 1912. Also used for silver-backed banknotes. Term to indicate that overall content is 40 percent silver and 60 percent copper were two outer layers containing primarily silver (80%) are bonded to a core made primarily of copper (79%). A set of special coins-neither business strikes nor Proofs-first struck in limited quantities. A term for the five-pointed and six-pointed devices used on many Philippine coins. Isabel and Alfonso coins used stars where the initials of the Mint Facility and Assayer were placed. Sometimes four-pointed and five-pointed. Common name for the 1943 cents (and certain 1944 cents struck on left-over steel blanks) struck in steel and plated with zinc. Trade dollars were made with this marginally higher silver content than standard silver dollars in an effort to gain acceptance for them in commerce throughout the world. A coin struck after a series ends. The medal produced to commemorate the opening the Manila Mint featuring the president of the United States, Woodrow Wilson. Minted in Gold, Silver, And Copper. Term applied to coins from countries other than the Philippines.